How does one lead in a world defined by Volatility, Uncertainty, Complexity and Ambiguity? All South African leaders face the same challenging question. Can business learn about leadership and strategy from the military? Commanding officers lead their teams into battle under exceptionally difficult circumstances. To accomplish their mission they must provide a clear purpose, motivation and a winning strategy. Professor Nick Binedell regularly refers to military analogies in his lectures on grand strategy. Join Prof Binedell and General George Casey, former US Army Chief of Staff ('CEO' of the largest public sector 'company' in the world) for a fascinating discussion on the lessons in leadership that are immediately applicable on the competitive battlefield that we all face daily. George W. Casey, Jr. is a globally recognized leader and authority on strategic visioning and leading in a VUCA world. He led the U.S. Army (the world's largest public institution with 1.4 million employees) from 2007-2011 and is widely credited with restoring balance to a war-weary Army and leading the transformation to keep it relevant in the 21st Century. Over his 41 year career he has been a stalwart advocate for military families, wounded Soldiers, and survivors of the fallen, and took on the tough issues of suicide and reducing the stigma attached to combat stress. Prior to this, he commanded the Multi-National Force – Iraq for three years, a coalition of more than 30 countries, where he guided the Iraq mission through its toughest days and oversaw the country's first democratic election. He held numerous senior leadership positions in Europe, the Middle East and in the United States in his 15 years as a general officer. 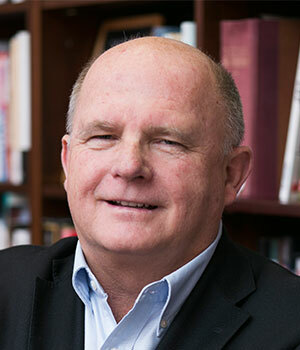 Mr. Casey is currently a Distinguished Senior Lecturer of Leadership at the Samuel Johnson Graduate School of Management at Cornell University. He also is a senior lecturer on International Relations at the University of Denver. He is a frequent speaker on leadership at more than a dozen other global business schools and is regularly sought to give advice the leaders of U.S. and multinational corporations. . He is Chairman of the USO Board of Governors and serves on several corporate boards and boards of other organizations that support U.S. servicemen and women, veterans and their families. He has published a book, Strategic Reflections, Operation Iraqi Freedom, July 2004-2007 (October 2012), about his experiences in Iraq, and two articles on leadership: "Leading in a VUCA World", Fortune Magazine (March 20, 2014), and "Volatile, Uncertain, Complex and Ambiguous: Leadership Lessons from Iraq", Chapter 1, Changing Mindsets to Transform Security, (December 2013). He holds a Masters Degree in International Relations from Denver University, and served as a Senior Fellow at the Atlantic Council of the United States, a foreign policy think-tank.